Friends, it's been a rough week. With devastating news here at home (the Children's Theatre lawsuit) and around the country (yet another senseless and horrific mass shooting, this time in San Bernadino, CA), on top of all the other painful things we've been dealing with lately, it's almost more than anyone can take. It was under this cloud that I saw Penumbra Theatre's annual production of Black Nativity for the first time. Yes, even though this is their 28th year, I've never seen Black Nativity before. I'm not sure how that happened, but this was the perfect time to first experience this truly joyful celebration. The story, the music, the dancing, the feeling of joy and faith and togetherness in that room, was a balm to my soul and did much to restore my faith in humanity. 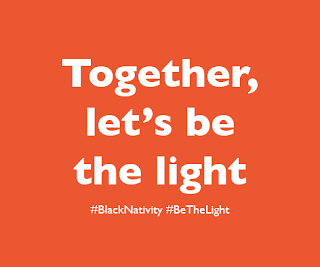 Maybe in times like this, the first and best response is to "be the light," and let that light lead us into appropriate action to heal the wounds of society and prevent things like what happened this week from happening again (and again and again) in the future. This Nativity story is less of a play and more of a concert celebration of the story of Mary and Joseph and the babe born in a manger. The show opens with a few songs from the fabulous Fellowship Missionary Baptist Church Choir under the direction of Yolande Bruce (the most animated choir director I've seen since Michael Mathew Ferrell). I love a gospel choir, maybe because it's so different from the music I heard growing up in a Catholic Church, which is a bit more subdued. There's just something so joyful about this choir that it can't help but get in your soul and make the listener feel joyful too. The choir is joined by two amazing soloists - Dennis Spears at his most Dennis Spears, which is to say a smooth singer and dynamic performer, and the incomparable Jamecia Bennett. Both soloists (along with a few soloists from the choir) bring their own unique spin to every song and finesse every note to turn it into something quite extraordinary. I knew a handful of the songs in the 90-minute show, but many were unfamiliar to me. That didn't stop me from clapping along and bopping my head so much that my earring fell out on the floor. But it's not just the music. 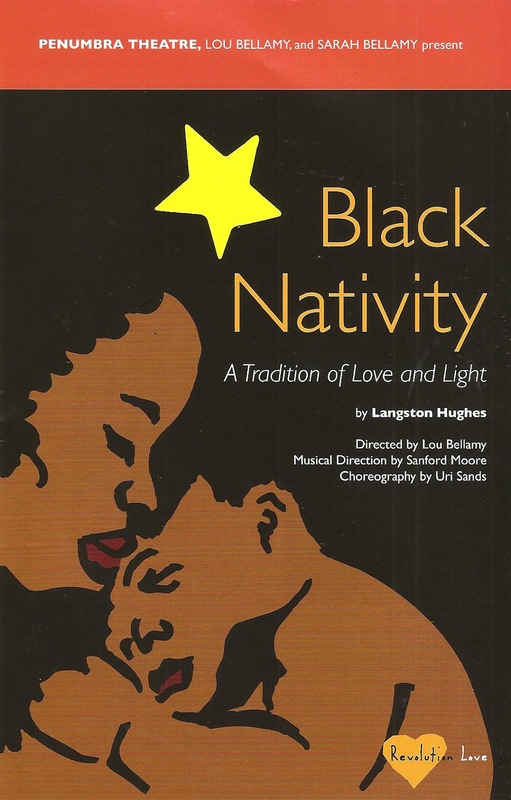 Interspersed with the songs, Penumbra's Founder and Co-Artistic Director Lou Bellamy reads the Nativity story from the Gospel according to Langston Hughes. Text flows into music and back to text again. Dancers Taylor Collier and Randall Riley portrayed Mary and Joseph in a few dance numbers that are a highlight, so graceful and expressive of the emotions of the young couple (choreography by Uri Sands). 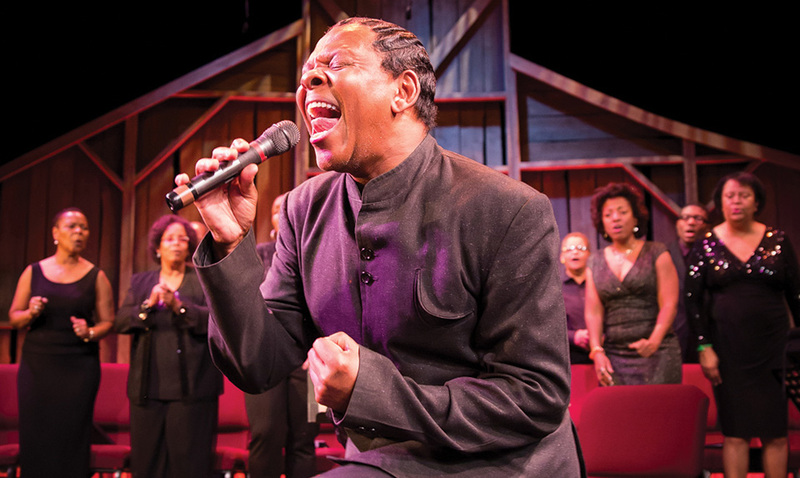 All of the elements (including the awesome five-piece onstage band directed by Sanford Moore) combine to create an uplifting and inspirational experience. And even though the specifics of the theology presented may not match my own personal theology, I can still join in the rejoicing and the hope that this world can be better than it is, that we can be better than we are. Whether you've never seen it before, or you've seen it dozens of times*, Black Nativity is a must for this holiday season, a true celebration of "love and light." Get yourself to St. Paul's Penumbra Theatre between now and December 20 to take part in this joyful noise! *I was talking to my friends and fellow bloggers from Minnesota Theater Love, and it sounds like Black Nativity has gone through quite an evolution over the years. Read more about that here. Wow, this sounds so good! I'll have to put it on my list for next year. Thanks for the shoutout, Jill! We were so on the same page on this show!